Plastic bollard covers provide cheap, high-visibility protection for steel pipe bollards. 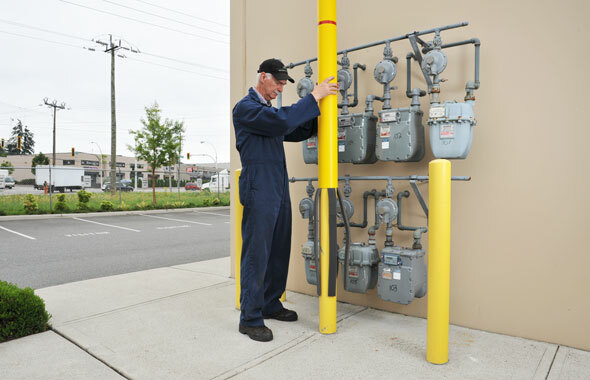 Protective sleeves slide over security posts to keep them in their best condition, extending their service life. 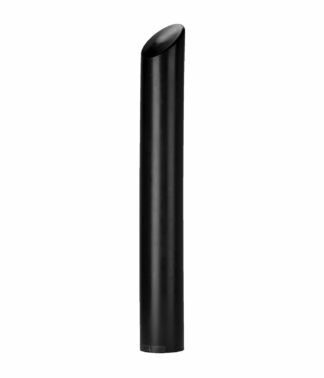 Plastic covers are available in a range of colors and styles to ensure visibility and style that complements the surroundings. Read more about plastic bollard covers. Plastic bollard covers are available in LDPE and HDPE, in a range of sizes and styles. 10 colors are available. Reflective strips can be added to increase visibility in low-light and adverse weather conditions. 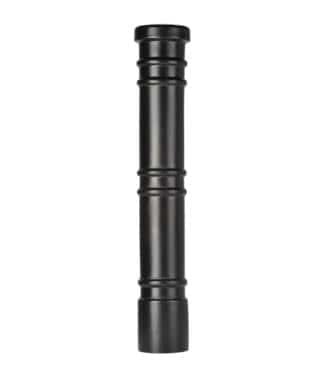 As pipe bollard sleeves, they allow for impact protection while enhancing visibility and aesthetic appeal. 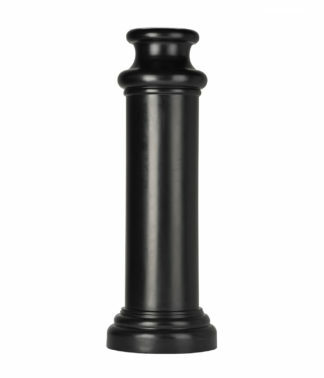 Bollard sleeves can be trimmed to match any height or surface gradient. 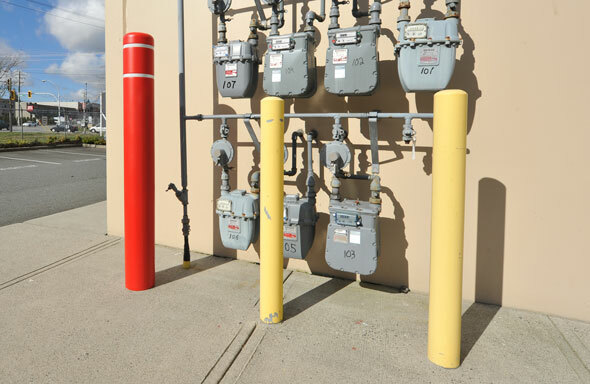 Reliance Foundry can trim your plastic covers to specified lengths upon request. 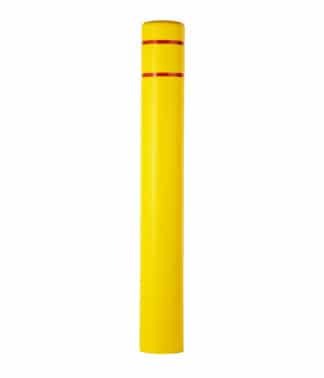 Bollard sleeves protect steel pipes from corrosion, especially in areas with regular exposure to moisture and high-saline conditions (e.g. from exposure to saltwater spray or de-icing salts). 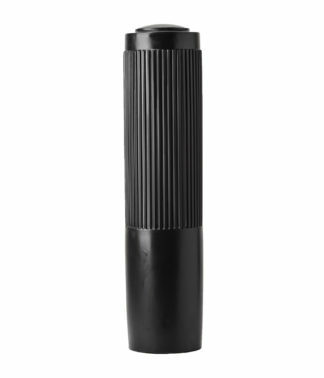 Steel pipe covers replace the need for regular post scraping, sanding, or painting to remove rust spots or scratches, and are simple and economical to replace if they are damaged by a collision. 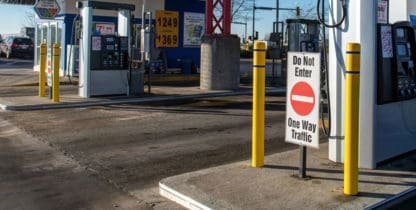 Steel pipe security bollards perform best when they are highly visible—providing visual guidance as well as physical protection. When drivers overlook them, inconspicuous steel posts do more harm than good. Plastic bollard covers increase safety by providing better visual cues for vehicles, bikes, and pedestrians—clearly identifying roadways, parking spaces and off-limit areas. Reflective plastic covers are especially suitable for industrial and high-traffic commercial areas. 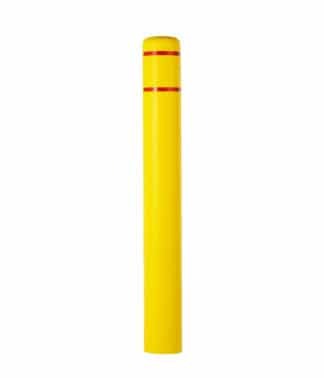 Plastic bollard covers are made from durable polyethylene, so they won’t fade or chip from regular weathering. Permeated colors mean they resist physical markup from vehicle impacts, and chemical wear from solvents and de-icing salts. Post sleeves are easy to install over steel pipe posts with foam compression strips.